One of the requests Our Lady of Fatima made known to Sr. Lucia was that the faithful make "communions of reparation" on five consecutive first Saturdays of the month. This has become known as the "First Saturday Devotion," and its intention is to make reparation to the Immaculate Heart of Mary for the many ungrateful offenses she endures from mankind. Read more What Are the First Friday and First Saturday Devotions? In addition to receiving Holy Communion on the first Saturdays of five consecutive months, Our Lady also gave other conditions to fulfill: confession, praying five decades of the rosary, and to keep her company by meditating for fifteen minutes on the rosary mysteries (for example, either in church or before a statue or image of Our Lady). To those who faithfully meet all these conditions on five first Saturdays in reparation to her Immaculate Heart, Our Lady has promised to assist them at the hour of death with the graces necessary for eternal salvation. That is, she will ensure that those who have completed her request sometime during their life will not die in a state of mortal sin. One may wonder why Our Lady requested that the faithful meditate on the rosary mysteries for fifteen minutes, when praying the rosary itself involves meditating on the rosary mysteries and takes about fifteen minutes to pray. 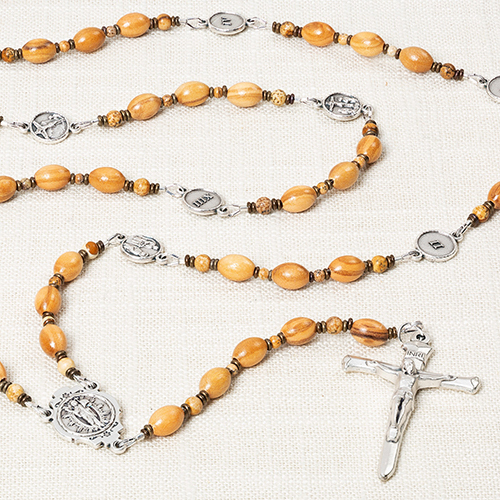 Wouldn't praying the rosary fulfill the request for fifteen minutes of meditation? Understanding what is meant by meditation in this context will help to explain further. Traditionally, to "make a meditation" involved a structured time of guided meditation (not simply to think about or dwell upon in a random way). When one makes a meditation properly speaking, they have planned a specific topic on which they will mentally dwell for a set amount of time, examining it from all sides, along with making concrete resolutions to practice specific virtues extracted from what has just been meditated. 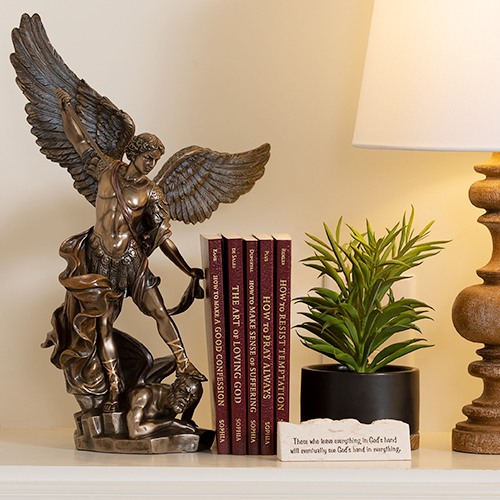 If you've ever used a Catholic meditation books, you're already familiar with this. Each day has a topic and usually involves questions and/or suggestions where one applies the meditation to specific areas of one's life. So, Our Lady has asked that in addition to praying the rosary on the first Saturdays, one should also spend fifteen minutes meditating on one or more of the rosary mysteries in order to better exemplify the virtues hidden therein. Below is the manner in which Sr. Lucia of Fatima, the woman to whom Our Lady made this request, completed her first Saturday rosary meditations. First mystery, the Annunciation of the Angel Gabriel to Our Lady. Second prelude: I ask Our Lady to infuse into my soul a profound sentiment of humility. 1st point: I will meditate on the manner in which Heaven proclaims that the Most Holy Virgin is full of grace, blessed among all women and destined to become the Mother of God. 2nd point: The humility of Our Lady, recognizing Herself and declaring Herself to be the handmaid of the Lord. 3rd point: How I must imitate Our Lady, in Her humility, what are the faults of pride and arrogance through which I most often displease the Lord, and the means I must employ to avoid them, etc. On the second month, I make the meditation on the second joyful mystery. The third month, I make it on the third joyful mystery and so on, following the same method of meditating. You can see from the above passage that Sister Lucia starts with one of the rosary mysteries, identifies the key virtue demonstrated in it by Mary and/or Jesus, considers in depth the manner in which they practiced it, and resolves to do likewise in her own life, rooting out all that is opposed to it. One of the temptations with praying the rosary is to run through the beads quickly, only dwelling in a superficial way of the rosary mysteries we are praying. To make the meditation as Our Lady requested allows us to dig deeply into just one or two mysteries to pull out more from them than we may have otherwise done. Our Lady is always guiding us to higher heights in the spiritual life. The First Saturday devotion takes the faithful higher over the course of five months so that we, through Mary's intercession, will grow in virtue more quickly and more perfectly image Christ. Hello Constance. Your desire to follow everything exactly is admirable, but don't let it cause you anxiety. The point of the First Saturday devotion is simply to increase your love for Our Blessed Mother, to make reparation for sin, and ultimately draw you closer to Jesus. Q1 response: Just as you can offer a mass retroactively for someone, you can offer your First Saturday confession for reparation retroactively, especially since that was your whole intention of receiving the sacrament that day anyways. From my understanding of the devotion, I wouldn't worry about doing a "catch-up" confession; Our Lord and Our Lady saw your effort and sincere desire in that regard. 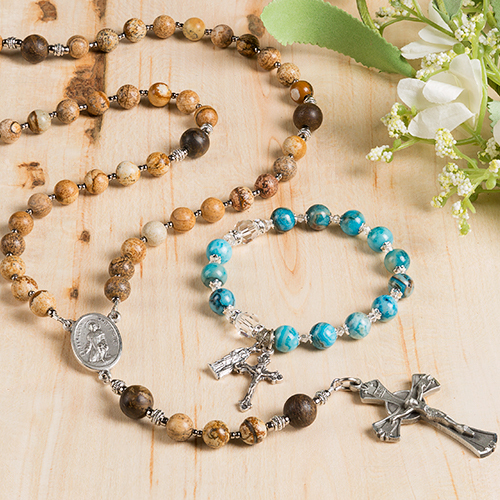 Q2 response: From your explanation, it does look like in this case 2 rosaries would be appropriate, as one was connected to the devotion and the other was specifically for your penance from Confession. As far as when and where exactly during the day you complete those is totally up to you, but I think it did make sense to say your penitential rosary before communion, as that completes the Sacrament of Confession. 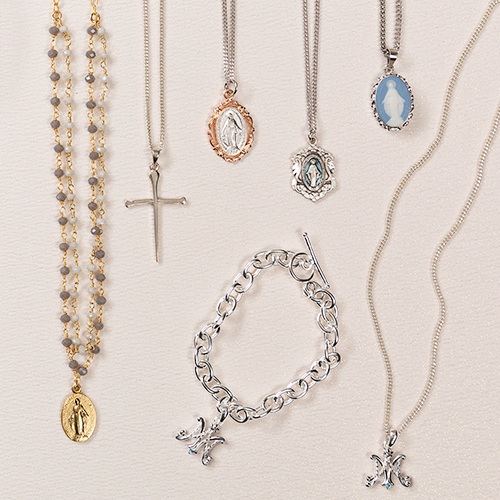 If two rosaries before mass isn't realistic, then no need to worry. Once again, Our Lord and Our Lady see you desire and effort here, and will surely accept your prayer later in the day! Hope this helps to give some direction and peace of mind. God bless! Communion on Saturday. My job causes me to miss some First Saturdays so I have done much research on this. You can also receive on Sunday if extreme reasons cause you to miss the Saturday. Hello Lynette. It is true that Lucia asks that we receive Communion, but part of that is that the mass have the Saturday liturgy, which is not the case for a Sunday vigil mass (as it would have the Sunday liturgy). Therefore attending a Saturday liturgy is the ordinary tradition for this devotion. However, as you mention, special circumstances, such as working, an emergency, no possible transportation, etc, stand as exceptions to this. In those cases, we do our best and Our Lord sees our intention and circumstances. I read somewhere that the Rosary portion should've been said out loud. My guess is what I did was fine. Hello Gary - As far as I know the Rosary may be said privately or out loud. Maybe saying it out loud would be suggested because generally speaking there are special graces for praying the rosary as a group. Robert - I would talk to your parish priest about this...it's tricky because this particular devotion involves attending an extra mass specifically on Saturdays, while the normal Sunday Mass is a completely separate liturgy...In addition you could talk to the priest and see if there's someone in the parish who would be willing to bring you to mass on First Saturdays. Also ask the Holy Spirit and Our Lady for guidance; maybe they will inspire you to a different devotion that doesn't involve attending a Saturday mass. 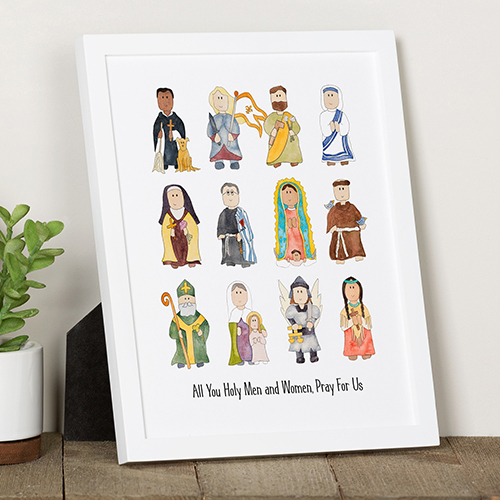 The Church is full of beautiful Marian devotions! Our Lord and Our Lady know your desire and intention. I want to be a better Christian.I want to see Jesus on the last day.I want to go to heaven.Jesus please heal my unbelief and draw me to yourself. To make the First Sturday mass, does it have to be seperate than the evening mass? Our church does only the evening mass on Saturdays. Would attending this mass count towards for the First Saturday mass? Also, if you happen to make at least 3 Saturdays in a row and then the 4th does not work out, would you then have to start over? Hi Joan- The idea behind the first Saturday devotions is that Saturday is the day devoted to Our Lady. The liturgy for the Saturday evening vigil mass is Sunday's liturgy, while a Saturday morning mass is a separate Saturday liturgy (usually with Marian prayers). If there's another parish within reasonable distance then that would be the best alternative. If there are absolutely no other possibilities, then Our Lord sees your desire and devotion, and just go to both the Saturday evening and Sunday mass. In regards to your second question: I'm not sure what "doesn't work out" means. If you have a medical emergency or something like that, then either go to Mass another Saturday during the month or just pick up where you left off the following month. Our Lord sees and understands those types of situations. However, if it was just a matter of inconvenience or a similar line, then that's a different story. The First Saturdays devotion is about prayer and reparation, and may involve some sacrifice in regards to planning your schedule. You can also talk to your parish priest and get his thoughts on all of this. God Bless! 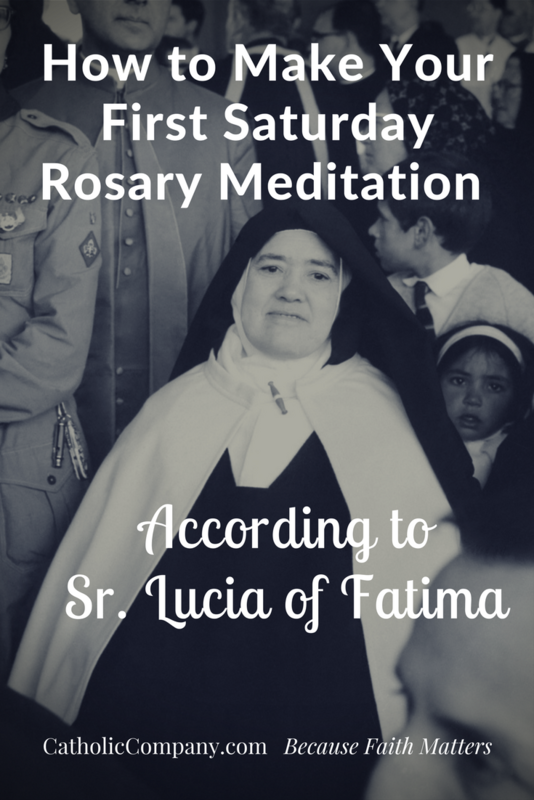 I fulfilled all of the conditions of the first five Saturdays, except I did not do the Rosary meditations as Sister Lucia said they should be done. What do I need to do? There's no hard-and-fast answer to this...Mary sees your heart and your intentions, and will give you graces for your acts of prayer and offering, but you can also complete the meditations on 5 days/5 Saturdays...you can always repeat the whole process of the first Saturdays devotion (can't have too much time with our Lord!) You can also get input from your parish priest. Hope that helps. I believe the condition is to receive the sacrament every month: " Go to confession within eight days before or after every first Saturday"
How does one form the intention of making reparation? Is this something that must be communicated to the confessor before confessing, or is this something one does in his own mind and heart on each Saturday? I have done all of the steps for the first 5 Saturdays but was told by my priest that I could go to communion on Sunday for this. Is this not acceptable, does the communion part need to be on Saturday? Because Saturday is the traditional day devoted to Our Lady, communion should be on that day. 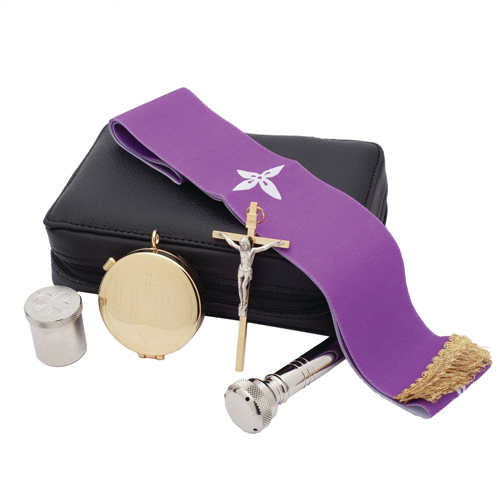 Can the Communion you receive be from the Sunday vigil(Saturday evening) Mass ? Technically the vigil mass is a Sunday Mass, and uses the Sunday liturgy. Saturday is the traditional day devoted to Our Lady, which would imply attending a Saturday (daily) mass which uses the Saturday liturgy. I understand regarding confession. It was the meditation with Mary I was wondering about. The article didn't answer my question so that was why I asked here. Hi Brenda, my apologies for misunderstanding your question. 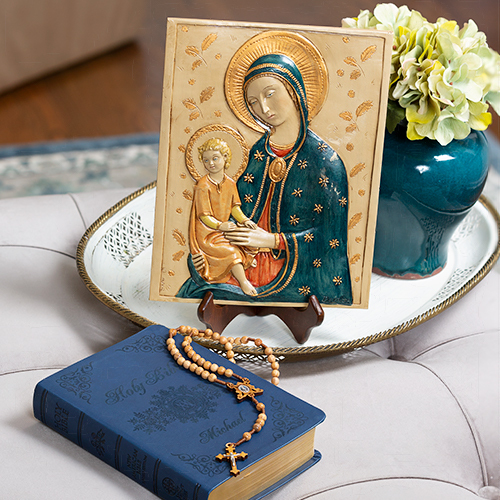 From what you described, I think that your meditation would count for the request to keep the Blessed Mother company with 15 minutes of meditation, as it seems that within your meditations you did in fact reflect on the spiritual truths that are conveyed in the mysteries of the Holy Rosary, according to Our Lady's request. What things necessarily should be completed on 1st Saturday? I understand confession (which I'd intended to get to but the priest left after 15 min as no one was there, I just hadn't gotten there yet) but, what about spending time with the blessed Mother? I only ask because as there was no confession, I slipped into the chapel and spent time with our Mother contemplating the trials and tribulations of motherhood and all she had to have gone through. First Saturday is 3 days away and I wondered if that counted. It wasn't what I'do intended the time to be but if it counts, I'll count it and go back for more. LOL I got back to the car and realized I'd been there for 40-45 min. 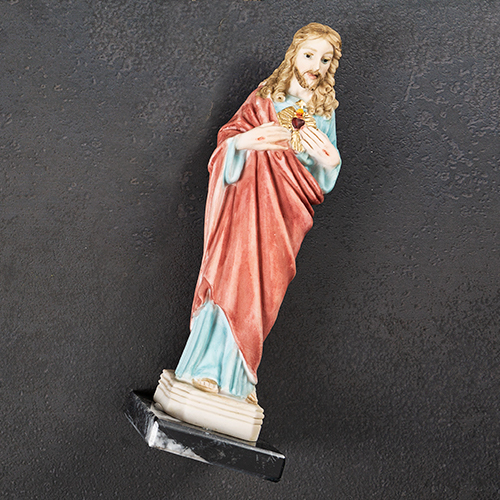 Hi Brenda, you can find our post on how to make the First Saturday devotion here: https://www.catholiccompany.com/getfed/what-is-the-first-friday-and-first-saturday-devotion/. You will see that the confession should be proximate to the act, so you can fulfill the requirement for confession either 8 days before or after the First Saturday. Fr. Apostili on EWTN, considered an expert on Fatima, has said that Mary did not specify that you had to go to Saturday morning mass for the First Saturday devotion. He believes Saturday evening mass would count. Hope this helps! Hi Linda, the best thing would be to contact her convent to find how to obtain all of her writings: Carmelo de Santa Teresa in Coimbra - Portugal. Hi Gretchen and thank you for this instructional and enlightening article. 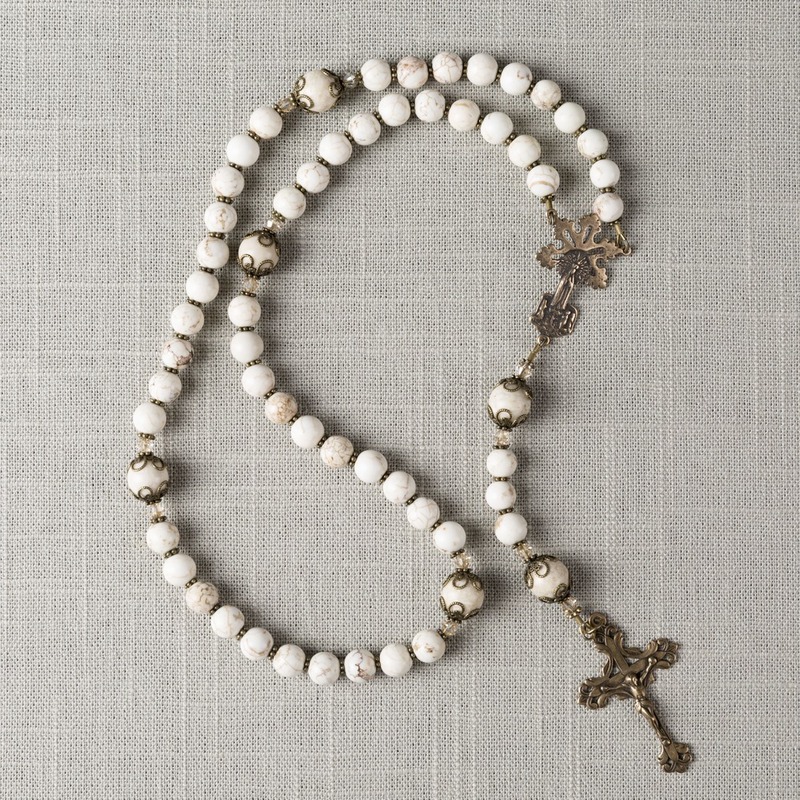 I will try to incorporate a period of meditation outside of the Rosary but I never spend less than 30 minutes praying the Rosary anyway on the First Saturday. I think it's important not to get overly concerned about whether one is "doing it right" when it comes to this devotion because we can get caught up in the mechanics (I plead guilty to this) and lose sight of what's most important. I also believe that Sister Lucia gave clarification on when confession could be made and the answer was as close as possible to but no more than 8 days before or after. For those who simply do not have access to Saturday Mass outside of the Vigil, why wouldn't that Mass be acceptable provided the person attend Mass again on Sunday? Some priests are assigned to cover multiple parishes and can't offer morning Mass and anticipated Masses in all of them. Hi Joyce, the instructions on how to complete the Five First Saturdays devotion are given to us directly from Our Lady of Fatima, so yes, it is important to follow the conditions of the devotion just as she gave them to us. There are 5 conditions which you can read here: https://www.catholiccompany.com/getfed/what-is-the-first-friday-and-first-saturday-devotion/. We must follow Our Lady's conditions to the best of our ability, and not alter them to suit our own judgment about what may or may not be important. I do not know of a definitive answer for those who do not have access to a daily Mass on Saturday; in my own opinion this would be the order of preference on how to complete the request when and where feasible: 1) Travel to get to the nearest Saturday a.m. Mass (it's only once a month for five consecutive months - the added sacrifice will bring added graces); and/or 2) Gather a group to petition your priest - or local priests to rotate - to offer five consecutive First Saturday Masses once a year; 3) attend the Sunday Vigil Mass on Saturday night in addition to the Sunday Mass if this is your best and only option. In my understanding, the likely reason behind the condition for attending a Saturday Mass is that Saturdays are traditionally dedicated to the honor of the Blessed Mother, and it is a daily Mass outside of our usual Sunday obligation, so that at least once a month for five months Our Lady is getting the faithful to attend a daily Mass, in the hopes that this will draw us closer to Our Lord in the Blessed Sacrament. Thank you so much for answering my questions and Thank you for providing this site for us. Thank you also for being an instrument of God in your Devotion in your writing and journalism in increasing our knowledge of our Catholic Faith, you're truly a Blessing. Thank you, Maria, for your kind words of encouragement! For every 1st Friday and 1st Saturday Devotion, when I go to confession do I mention each time to our priest my intention is for each day? Do I mention to my confessor that this 1st Friday Devotion is with the intention in making reparation to the Sacred Heart of Jesus ? Do I mention To my confessor that this 1st Saturday Devotion is with the intention of making reparation to Immaculate Heart. Of Mary? I have been doing these two devotions for awhile repeatedly but I neglect to mention this to my confessor and I also forget to mention my Intentions in my mind and in prayer but I know it's a Devotion I do for our Lord and Our Blessed Mother Mary. Does this mean I have been doing it all wrong when I don't mention the Intentions? Hi Maria, the intention is what you bear in your mind and will - it is the purpose for which you are going to Mass on First Friday and First Saturday (that is, rather than going for a random purpose, you are going expressly to fulfill the request for this particular devotion). This is all that is needed, you do not need to mention the intention to your confessor, or necessarily repeat the intention in your mind in prayer. The intention is already in your mind, because it is the reason why you chose to attend Mass on that day. I hope that explanation helps! Excellent article and most excellent, helpful, generous Q & A. I learned a lot! Have tried for months to keep the First Saturdays and recently added in the effort to keep First Fridays, too, but some how or another I have always failed in the aspect of the 15-min meditation &/or going to Confession within 8 days before or after. I appreciate all your thoughtful and thorough answers. I will do this yet. Hello, how do you offer the reparation to Mary, is that after receiving the bread and you go back to your seat, kneel and pray.. is that when ypu offer it? Or before communion? Thank you. Hi Sam, the act of making the First Five Saturdays and meeting its conditions is itself the reparation, that is, you are doing the Five First Saturdays as Our Lady requested at Fatima with the intention of making reparation to her Immaculate Heart. It is the intention behind your action, not so much specific words or prayers made at a specific moment. Of course, it is good to keep this intention in the forefront of your mind and heart both before, during, and after receiving Holy Communion. Re dying in mortal sin and going to hell. Hell is a choice, but what about those mentally ill souls and children who kill themselves? The recent, dreadful case of the 12 year old livestreaming her own hanging in the U.S. obviously grave emotional and mental issues. Getting back to the main topic, we should all continue this devotion all the time for those who don't. Hi John, we cannot know the condition of a person's soul, that is known to God alone. What we do know is that God provides every soul sufficient grace to be saved, so that no one is damned apart from their free will. There is also mitigated culpability for mortal sin based on mental incapacity, for example with the mentally ill and children. As far as suicide, there may also be mitigated culpability present if a person's free will is inhibited. For a mortal sin to be present, it must be grave matter committed or omitted with full knowledge and full consent. We have no Saturday mass except the Saturday evening 5:00 mass. 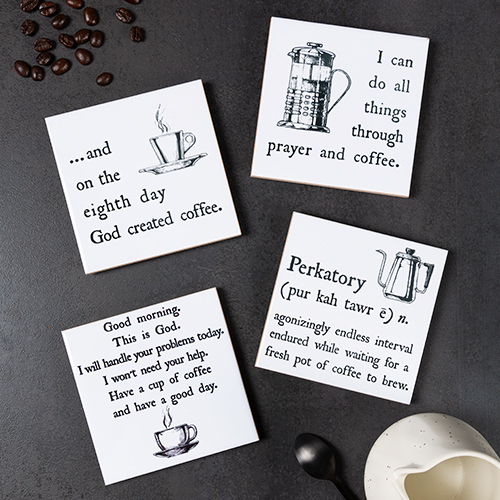 I have inquired if the priest would consider saying a Saturday morning one and he said he could not do so. I have inquired at many churches within 50 or more miles and none offer a Saturday morning mass. I live in a rural area. The only mass is the Saturday evening one. I have been going to this one for the first Saturdays(I know according to Jewish law this is the Sabbath). Is this acceptable? Hi Barbara, you could try asking the priests in your area to rotate offering a first Saturday morning Mass for five consecutive months for the 100th anniversary of Fatima, so that the faithful can honor Our Lady's Five First Saturdays request. Before doing so, gather people together to pray a novena to Our Lady of Fatima for this intention. 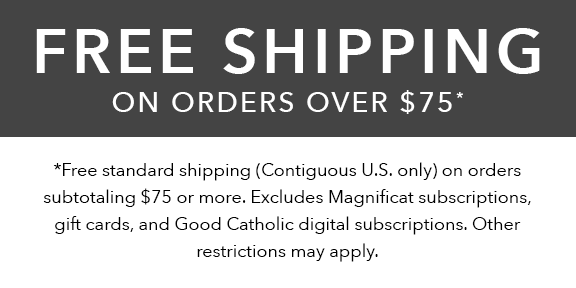 You also may need to help generate widespread interest in this, as attendance is an important prerequisite for a priest to consider offering a special Mass outside of the usual schedule. If this effort does not work, and the Saturday night Mass (which is a vigil Mass for the Sunday obligation) is all that you have available to you despite your efforts, you can offer this to the Lord. Thank you very much Gretchen. I appreciate all your help.